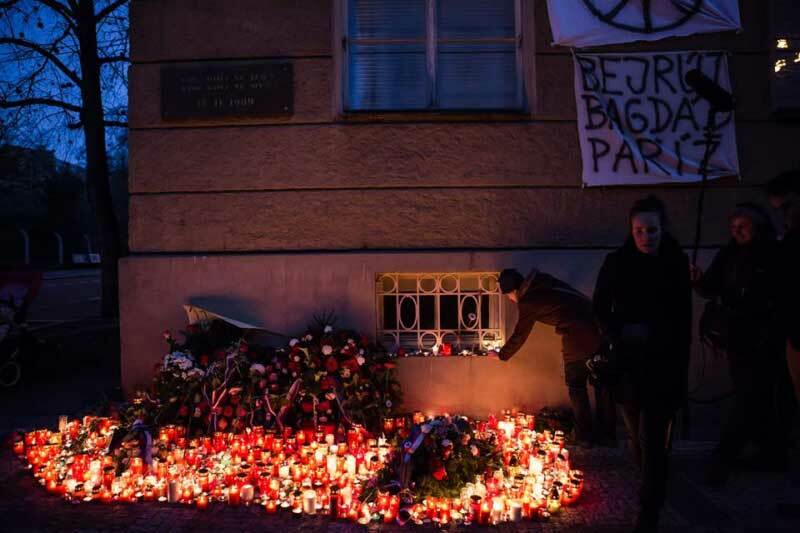 Prague, Nov 22 (ČTK) — University students and other people met at Prague-Albertov to mark the Nov. 17, 1939 and 1989 anniversaries today, since on Tuesday the police denied them entry to the memorial site where President Miloš Zeman was addressing a crowd of his fans. The organizers of today’s “belated” celebration say a total of 5,000 people attended it. The police estimated the attendance at 2,000. Prague-Albertov is a university neighborhood linked to the events of Nov. 17, 1939, the day of a Nazi crackdown on Czech universities, and Nov. 17, 1989, when the “Velvet Revolution” broke out after a violent suppression of a student rally by the communist police in Prague. On Tuesday, Zeman addressed his fans in Albertov in the presence of people such as Martin Konvička, leader of the controversial Bloc Against Islam group. This has been criticized by commentators and politicians, including PM Bohuslav Sobotka, who labeled Konvička’s group a sect that is xenophobic and spreads hatred. “By our belated celebration of the International Students Day we want to remember the values and the memory of November 17 [events]. 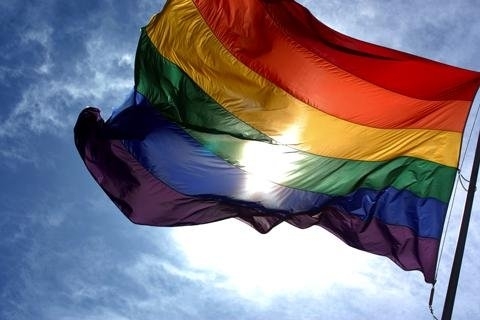 It is not a pretext for our commenting on current political affairs or state officials’ stands,” the organizers said. Some waved the flags of the Czech Republic, the EU and Ukraine. Many wore badges shaped as red boxer shorts in an allusion to the giant boxer shorts with which members of the Ztohoven artistic group replaced the presidential flag at Prague Castle in mid-September. A few participants carried banners with anti-Zeman slogans. However, Zeman’s name was not pronounced by any of the speakers at all. The meeting was also attended by many university rectors including those of the Brno and South Bohemian universities, Mikuláš Bek and Libor Grubhoffer, with whom Zeman had repeated disputes in the past. The participants included conservative opposition TOP 09 deputy chairmen Miroslav Kalousek and Marek Zenisek, MEPs Jiří Pospíšil and Jaromír Štětina (both for TOP 09), economist Tomáš Sedláček and well-known art collector and supporter Meda Mládková. Addressing the crowd, university student David Hurný said no one must misuse the November 17 anniversary for their own political and ideological interests. He spoke against populism and against labeling opponents with different opinions. Bek said the Czechs are a plebeian nation because they lost their elites, both aristocratic and burgher, in the past. The task of universities is to teach the path towards a free plebeian nature, based on work and education, which is proud, self-confident and ready to help the weak, so that it prevails over the lackey-like plebeianism, which is submissive to the superiors, tends to offend the weak and feels no respect for rules, Bek said. 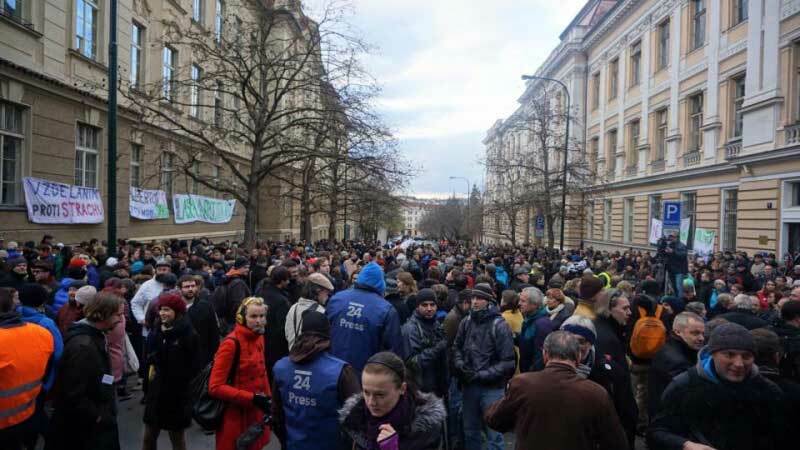 Gaš said he does not reproach the president’s bodyguards for having prevented the students’ access to the commemorative plaque in Albertov on Tuesday, Nov. 17. The chief bodyguard only fulfilled his task. 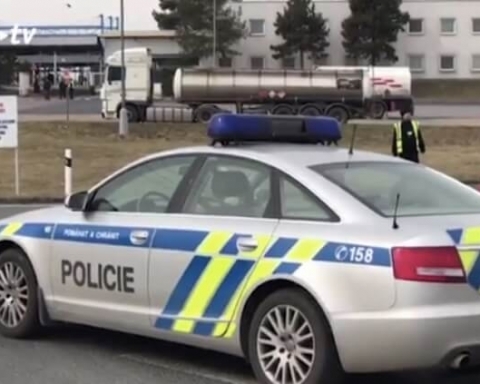 The problem, however, rests in that the Tuesday meeting at Albertov was addressed by people (including Zeman) who did not pronounce the word “student” at all, Gaš said. Zeman’s spokesman Jiří Ovčáček said there is no reason for him to comment on the meeting today. “Why, it is an apolitical event that does not concern the president, as the organizers have emphasized,” Ovčáček said. 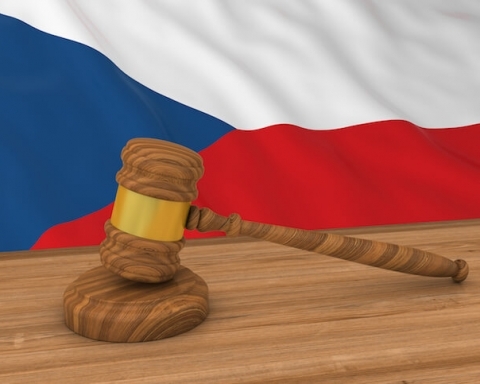 Czech Technical University (ČVUT) Rector Petr Konvalinka told ČTK that he is afraid that the Czech Republic may slowly turn into a police state, due either to fascizoid groups or the fears of terrorism. Later today, the Albertov meeting of students was followed by a remembrance meeting at the Wenceslas Square, organized by the Goodwill Meeting Platform with the aim to remember the “Velvet Revolution” and protest against Zeman’s appearance at the Tuesday ceremony side by side with Konvička. 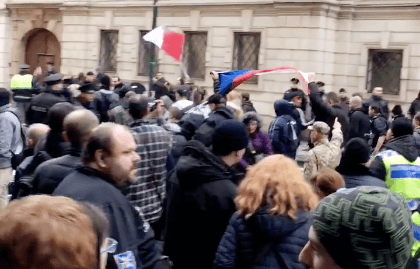 Several hundreds of participants, mainly those who arrived from the above Albertov event, chanting anti-Zeman slogans, called on Zeman to resign as president. They said Zeman had misused the November 17 celebrations and behaved as an enemy of democracy when he appeared side by side with Konvička.